Thank You. We accept online credit card donations using Visa, Mastercard, American Express or Discover card. Donate securely through PayPal below. To support the CASEC Medical Mission to Cameroon, and to volunteer or donate to a participant. GO THERE! You can also contact us directly at: 301-850-2991 or by email to info@patchafoundation.org Thank you! The CASEC Medical Mission is the only one of its kind that incorporates cancer screening and treatment and other comprehensive medical services. It is basically a mobile hospital that comes to town for a week to offer free screening, surgery, treatment and medication as part of these clinics: cancer (breast, cervix, prostate, oral), dentistry, cardiology, ophthalmology/optician, blood pressure and diabetes screening, primary health care, HIV/AIDS, Hepatitis B and malaria screening, consultation with family practitioners and pediatricians and medications. In addition, we offer workshops to promote awareness, early detection, care and healthy lifestyle as part of our CASEC initiatives. 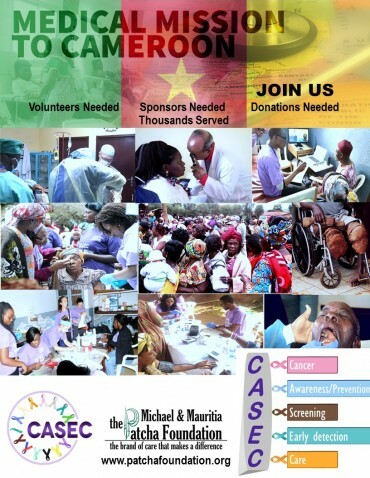 Become a volunteer with the CASEC Medical Mission to Cameroon. Make a big impact while experiencing the people, culture and country that is Africa in miniature. During the mission medical practitioners partner with local health care providers, hospitals and clinics to provide quality medical care to the people. General Practitioners/Family Medicine Practitioners, Pediatricians, RNs, Dentists, Pharmacists, Ophthalmologists, Cardiologists, OB/GYNs, Surgeons, medical, dental and pharmacy students. Please GO HERE to become a sponsor for the CASEC Medical Mission and other CASEC initiatives. Please GO HERE to donate to a participant for the CASEC Medical Mission to Cameroon. Please GO HERE to learn more about sponsoring / donating to specific cases. Please GO HERE to view our 2019 Volunteer Sign Up List. Please GO HERE To view our CASEC Medical Mission Testimonials. THANK YOU FOR YOUR INTEREST IN THE 2019 CASEC MEDICAL MISSION. Volunteers are approved on a first come basis. We will endeavor to place you in your primary unit of choice. If this is not possible, we will place you in another unit of choice. Are you a medical or other professional looking for an exciting and rewarding way to use your professional skills? Are you looking for a fulfilling opportunity to help others? Can you give one week of your time to make a real difference in the lives of others? The Medical Mission needs Physicians, Dentists, Nurses, Pharmacists, Optometrists, Dental Students, Nursing Assistants, Pharmacy Assistants, Dental Assistants, Registration Assistants, Security, Order and Safety. We are a not-for-profit organization in Silver Spring, Maryland in the United States, working in limited-resource settings in Africa. Our African base is in Cameroon, West Africa, where we operate in some of the provinces. Our services are funded mostly through grants and public support. Our foundation is based on the belief that the community’s needs are of the utmost importance. Our entire team is committed to meeting those needs. We are committed to being the brand of care that makes a difference. We believe that good health is central to efficient and good living. 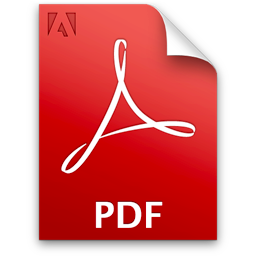 By subscribing to the Patcha Foundation mailing list you will always be update with the latest news from us through our Newsletter. Just supply your email address! © 2015-2016 The Patcha Foundation. All rights reserved.